Is Santa trippin’ on Mushrooms? 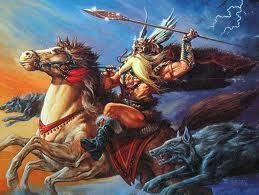 In Europe Fly Agaric was tied to the myths of Wotan/Odin. The mushroom signified the blood shed during battles would spread to the ground, where the mushrooms would sprout for picking. 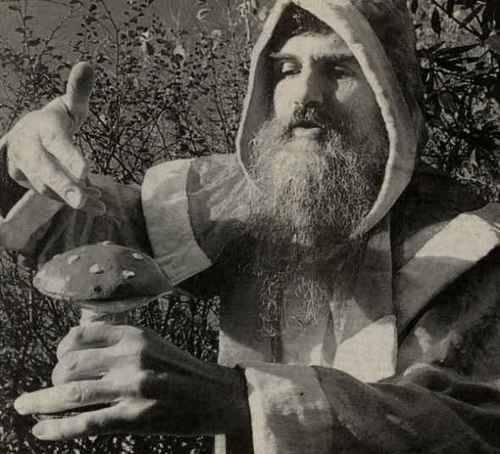 In Siberia, the Shamans would use Toadstool to speak to their gods, and somewhere along the line they figured out that their urine offered a fungal component to mixes, where the expression ‘drinking the piss’ comes from (because it was literal). They took a risk when eating raw toadstool (poisons), but some concoctions became an alternative with the urine. 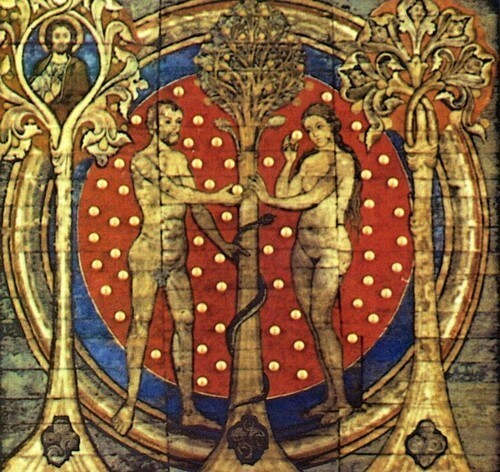 The images of the red capped mushrooms with white specs then became a symbol of the key to the god’s favor. Not much different than a symbol of luck and prosperity. 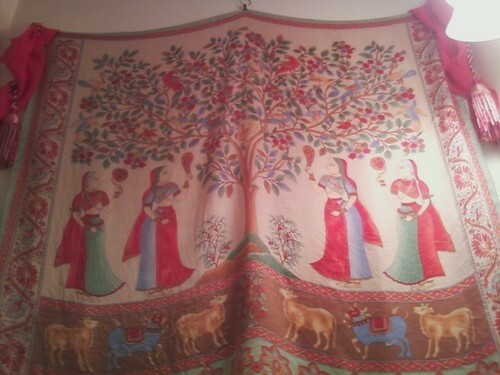 This is a tapestry I have, demonstrating the Mushroom Cult around the Tree of Knowledge. It’s made of fine silk, imported from Libya. Some of the earliest evidence dates back to Libya some 7-9000 years ago. Mushrooms are tied to Venus, and Luciferic philosophy. Most likely remnants from the Oldest surviving Religion of the world, Hinduism. Iconography of mushroom use can be traced back to pre-Neolithic people in Africa (Sahara region). In the Americas, even the Mayans had some rendition of a priest wearing a red-spotted garment. By the time the Santa outfits began to change from typical peasant colors to Red/White, its believed that this is the origin of the costume and it’s color significance. It’s all hidden in plain view, most people think that the reason Santa is seen with mushrooms is because he’s some sort of Gnome. It was quite popular in the 19th century to exchange greeting cards with symbols of luck, the image of Santa started to change to that jolly fellow we know today, with the red fuzzy suit. This entry was posted in Sin Jones and tagged Fly Agaric, Folklore, Greeting Cards, Luck, Mushroom Cult, Mushrooms, Myths, Prosperity, Santa, Santa Claus, sin jones. Bookmark the permalink.